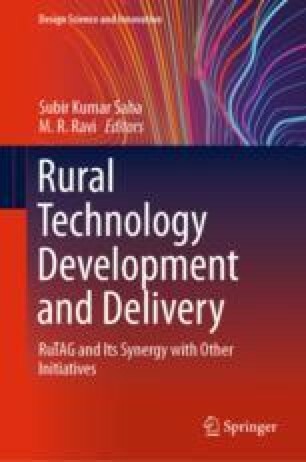 Rural technology action group (RuTAG) was established as a mechanism to achieve rural development through Science and technology (S&T) interventions. RuTAG at IIT Bombay started its activities in June 2010. Ever since its inception, it has taken up several interesting projects. The present paper has been written with two objectives in mind; first one is to provide a broad overview of the philosophy of RuTAG to the readers. Secondly, it also aims at sharing experiences and leanings of RuTAG IIT Bombay from the process of designing and delivering technology interventions for rural applications. The authors gratefully thank all the PIs of RuTAG projects along with the RuTAG project staff, all NGOs associated with us, CTARA and the Principal Scientific Advisor to the GoI and his office for the continued support in this endeavor.